Planning a meeting, event, conference, corporate retreat, or product launch is seamless at Table Mountain Inn. 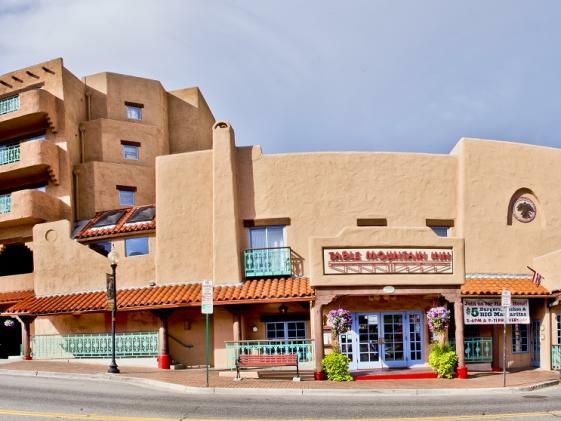 We make small meetings big with over 5,000 square feet of flexible meeting and event space, accommodating 10 to 200 guests in an atmosphere of warm western hospitality and Southwestern decor. Host a convention or celebration in the Arapaho Room, or meet by the fireplace in the Lounge. Enjoy open-air receptions and cocktail parties on the Kokopelli Patio, with its adobe charm and beautiful views. Here, you'll find innovative and intimate spaces that inspire people to connect and innovate.